We downsized from a large old house to a neat modern semi to make life easier. Michael Goodchild, 65, a semi-retired sales representative, and Jane Goodchild, 58, a part-time official with a national charity, moved from a four-bedroom Grade II listed house in Wincanton, Somerset, to a modern semi on the outskirts of the town. The driving force behind Michael and Jane Goodchild's move from the house where they had lived for 24 years and raised their two children, was worry about upkeep and repairs. "I am coming up to retirement," says Michael, "and maintaining our house was becoming more of a drag than a pleasure." 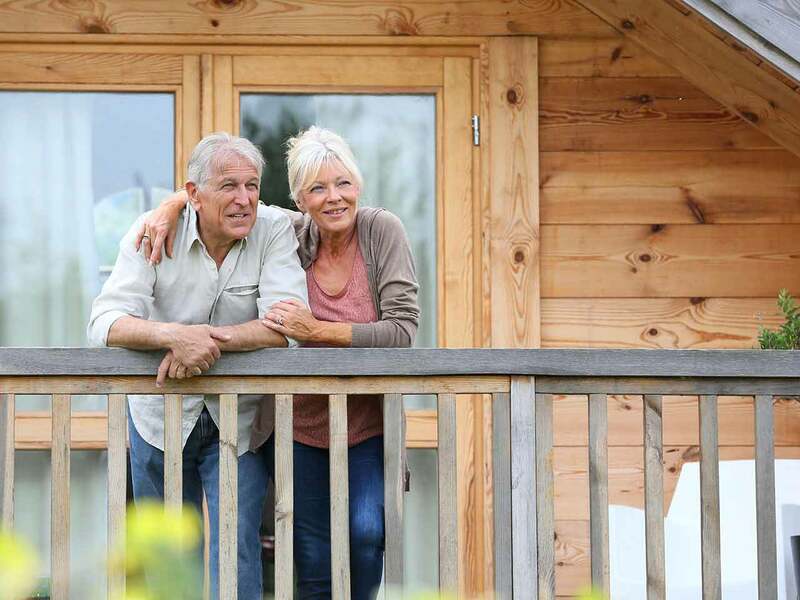 Read our top tips for downsizing. Dating from 1860, the house in the centre of Wincanton was spacious, with attic playrooms, a terraced garden and vegetable plot, but demanded constant attention. The children had left, but Michael and Jane could no longer deal with the perpetual repointing and repainting. They dreamt of double glazing and curtains that didn't billow on a windy day and found both on a new development overlooking the hills, on the edge of Wincanton. Since both were born and raised in the town, this was as far as they were prepared to move. Their house had increased in value by £170,000 since the early Eighties, and by selling it they released enough capital to buy their new house, as well as invest money to subsidise Michael's pension. They say they save around £1,000 a year on home maintenance, their electricity bill has been halved, and they pay less council tax. Decluttering? Read our tips for boot fair success. "It has been the sensible thing to do," says Jane, "but that doesn't always mean it's good, does it?" A leading light in Cancer Research UK, Jane often played host in her big house to visiting dignitaries, dispensing mulled wine and iced cakes in her large dining room. Now, even serving lunch for her daughter, son and his family - he has two children - in her kitchen/dining room is challenging. "I can't get used to everyone being in the kitchen while I'm trying to dish up." Having a clear out? Find out how to sell unwanted possessions. Then there is the emotional fallout. Moving meant not only saying goodbye to the trappings of nearly 25 years of family togetherness; there were her son Mark's Dinky toys, Alison's Abba records, her aunt's china cabinet, and some tough lessons about personal effects. "I found it upsetting that things we'd cared for and valued and loved, nobody else wanted." The couple virtually had to pay someone to take the china cabinet away. Surrounded by new furniture, although Jane is happy in her house, "I do feel I've lost my identity a bit". Her daughter feels the same. A pharmacist in Nottingham, with no foothold on the property ladder, the 27-year-old told her mother: "I shall never feel as if I'm coming home again." Her father, on the other hand, is "relieved". "I wasn't so bothered as Jane," says Michael." I thought, I can stop now. I was worried about the upkeep, and if anything had happened to me I don't know what Jane would have done." Sally Williams is a money correspondent for Saga Magazine.